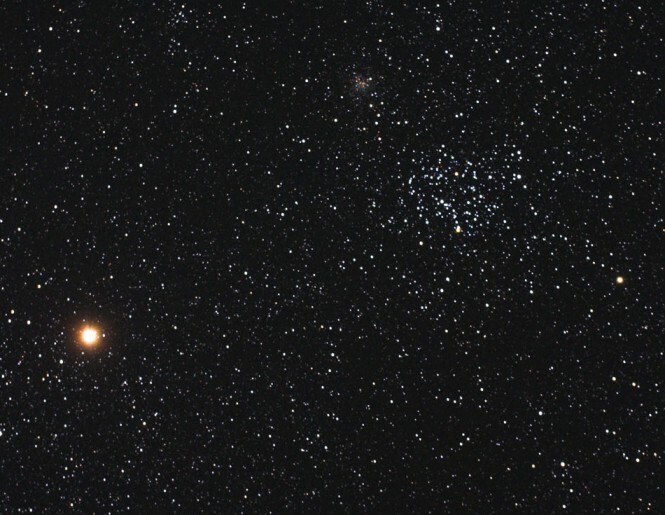 Explanation: This evening's skyscape includes a view similar to this one, recorded in western skies on April 16 - an orange-hued planet Mars wandering near rich open star cluster M35. Also notable is fainter star cluster NGC 2158, just above and left of M35. The grouping appears near the "foot stars" of the constellation Gemini, but of course Mars is in the foreground, just over 14 light-minutes from planet Earth. The hundreds of stars in cluster M35 are more like 3,000 light-years distant. NGC 2158 is farther still, about 16,000 light-years away and is much more compact than M35. 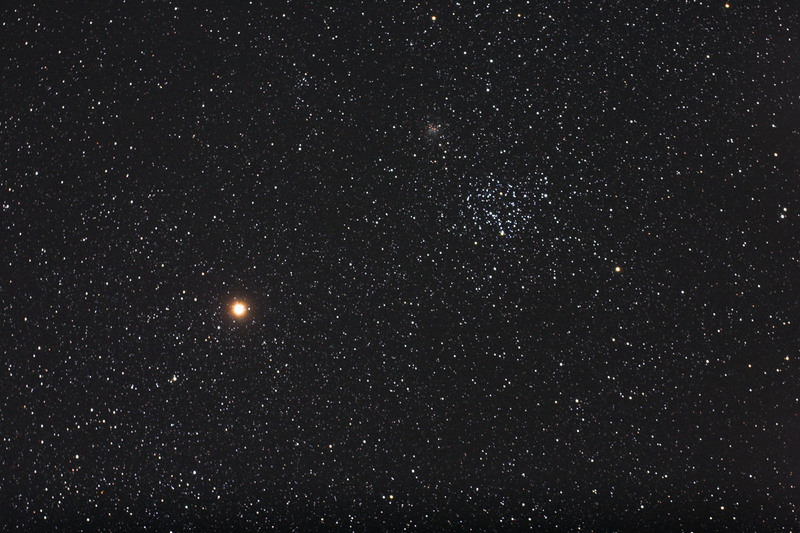 The color image shows off the contrast between hot blue stars and cooler yellowish stars within the confines of M35. But the stars of NGC 2158 are much older, and that cluster's light is definitely dominated by the orange glow of cool giant stars, making an interesting visual comparison to ruddy-colored Mars.